When I reviewed Laurel Pettitt’s Quiet Moments last year at Broken Frontier here I argued that it was a minicomic that was “proof positive that truly exciting new work doesn’t have to be brash, loud and ostentatious to command our attention; that burgeoning talent can be found in quieter yet intrinsically powerful storytelling practice.” While her first longer-form work Island is very different in theme and style to Quiet Moments‘ collection of poignant dramatic vignettes, nonetheless it similarly ensures its audience is wholly invested in its pages by honing in on life’s transitory, often smaller, but certainly no less important experiences. Detailing a late summer holiday that Pettitt took to Iceland with her triplet bother and sister Jon and Maddie, Island is an enchantingly idiosyncratic piece of graphic travelogue. Combining comics, photos, illustration and the odd scanned piece of ephemera from their trip it takes the form of a scrapbook account of the trio’s adventures. Pettitt acts as both narrator and tour guide, frequently switching from diarist mode to cultural commentator as she presents two interweaving narratives – the triplets’ interactions with this exciting unexplored environment and a patchwork account of its customs, history and folklore. 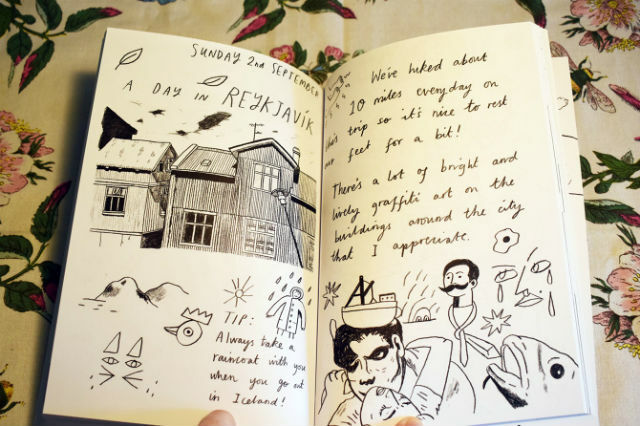 Such is the charm of Pettitt’s on-page persona – eagerly enthusiastic, constantly inquisitive, yet self-deprecatingly witty as well – that the 160-plus pages fly by. What makes it such an easy book to connect with is that ironically it feels like it was created primarily to record an experience – to bring the essence of individual moments to illustrated life – rather than with an audience necessarily foremost in mind. We share its author’s immediate attachment and love for the surroundings she finds herself in and feel like we’re making the same discoveries in parallel with her, rather than months or years after. Pettitt’s visuals retain an uncomplicated innocence that makes them far more relatable and expressive than any photo-realistic account ever could. The constant jumps between illustrated prose, anecdotal episodes, comic strips and photography maintain the illusion that we are constantly on the move with our three tourists as they visit the caves that inspired Jules Vernes’ Journey to the Centre of the Earth, sample fermented shark, walk through old lava fields and recount fascinating facts from their many destinations (did you know the Apollo astronauts exercised in the Icelandic landscapes before their space missions…?). 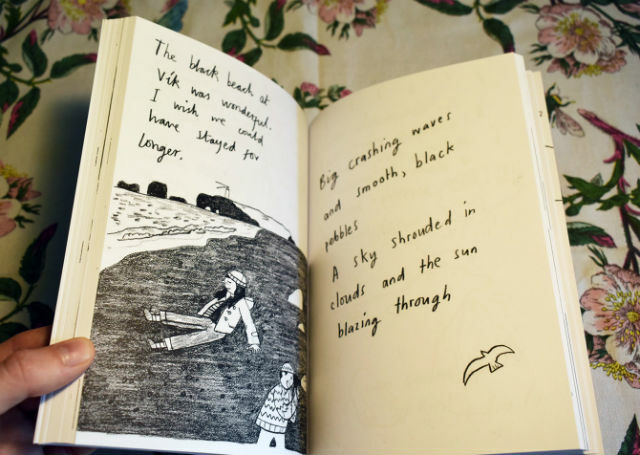 And her cursive diary entry-style lettering makes the book feel far more personal in presentation as well. 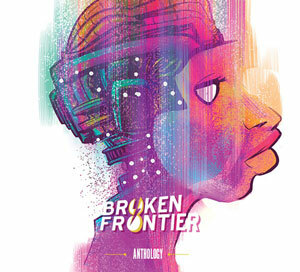 Regular Broken Frontier readers will be aware that Laurel Pettitt is one of Broken Frontier’s ‘Six Small Press Creators to Watch‘ for 2019. 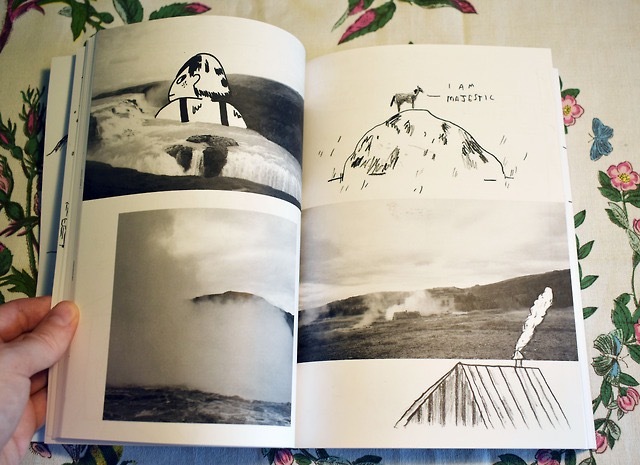 She’s exhibited regularly at ELCAF over the last few years so London-based readers may already be aware of her work but if you’re looking for a perfect introductory point to it then Island is your ideal starting point. 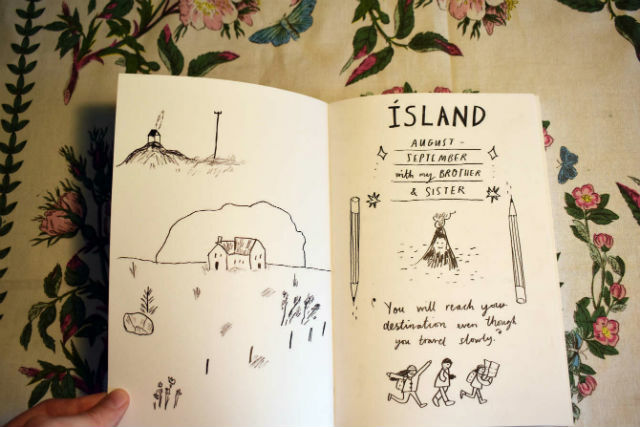 With a final sequence that is just beautiful in its realisation and a touching reminder of the importance of the ties that bind, Island is a quirky and very likeable take on the graphic travelogue with a character all of its own. 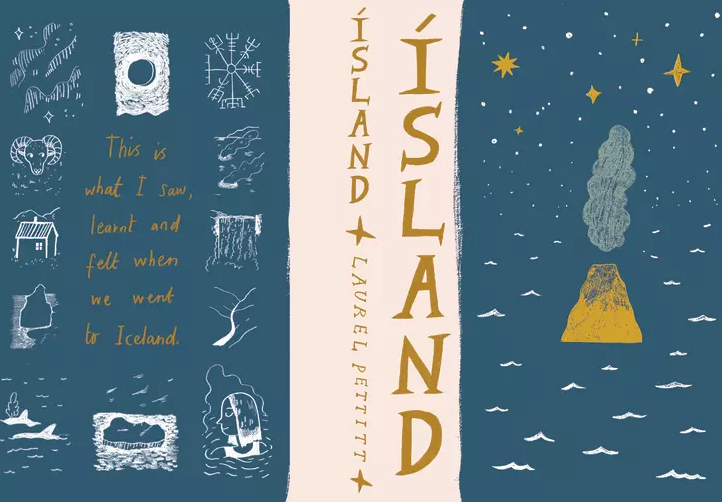 You can visit Laurel Pettitt’s site here, buy Island from her online store here and also follow her on Twitter and Instagram.